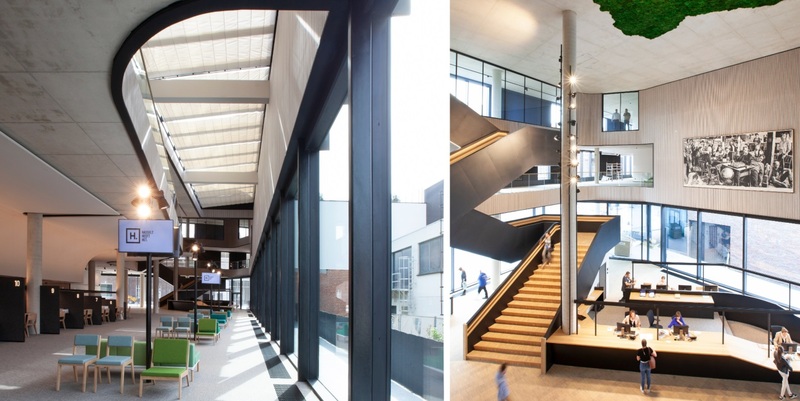 The new Hasselt Town Hall is a deliberate combination of old and new, a connection between the past and the present integrated into the heart of the city. The new structure blends in seamlessly with the adjoining plaza, as well as the old gendarmerie neoclassical building from 1879. Maximum integration into the city fabric has been achieved by combination of entirely transparent base and slanted façade that reflects both sky and the surroundings, including life in the public plaza below. Sometimes the structure seems nearly invisible from distance. 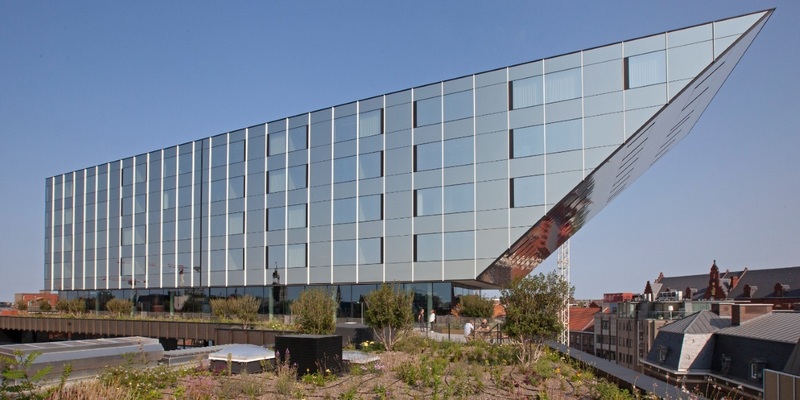 The upper part, where offices are located, is divided from the bottom one by an extensive roof, which brings a bit of nature up high while establishing a connection with the next-door building. The finish of the interior is striking the simplicity of materials and structure. Most of the concrete ceilings were left unadorned while the steel construction is exposed.